The world's oldest person has died in Italy at the age of 117. Emma Morano was born on November 29, 1899. 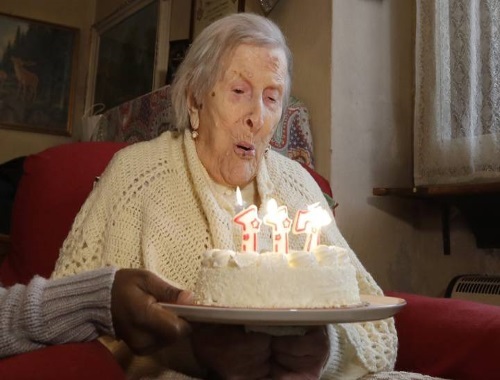 She was officially the last person born in the 1800s still living! Ms Morano was the oldest of eight siblings, all of whom she has outlived. Her life not only spanned three centuries but also survived an abusive marriage, the loss of her only son, two World Wars and more than 90 Italian governments. But it was also down to a rather unusual diet of three eggs - two raw - each day for more than 90 years. Her doctor of 27 years, Carlo Bava, had told AFP news agency that she rarely ate vegetables or fruit. Click here for the BBC news article.